Clean water is an absolute necessity for life. That's why it's vital that your water is treated properly. Here at Carolina Fresh Water, we're experts in water treatment as part of a national water treatment network, a network with over fifty years of experience keeping water safe. Designed to offer your family peace of mind with consistent high-quality water. Built-in Vacation Mode & Battery Backup, monitored water usage. Low/No Salt Alerts, recorded self-sanitizing. Silica-based crystal media, quality controlled media. Delivers high and consistent flow rates. Powerful media eliminates the minerals that cause hard water. Built-in Safety float and Dry salt storage requires less cleaning. Are you interested in improving your water quality? 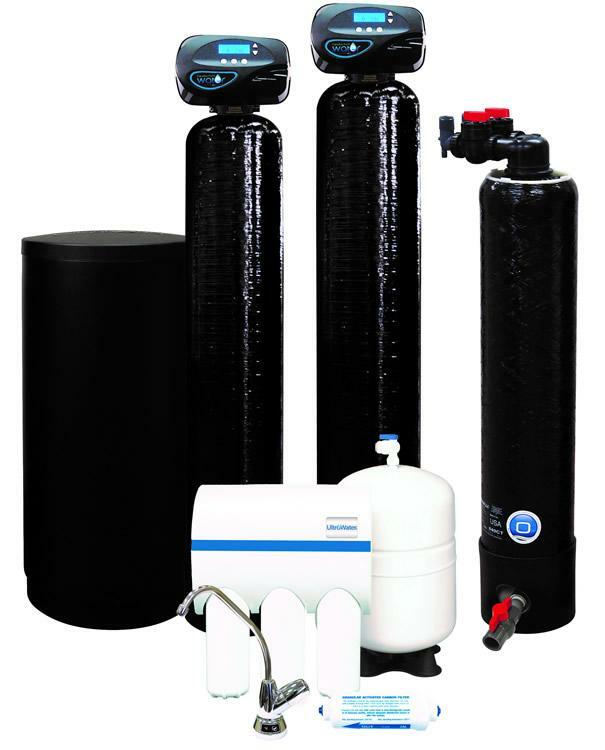 Contact us today and schedule your free water test today so our expert technicians can help you find the perfect water treatment system for your home! We proudly serve Winston Salem, Greensboro, High Point, Burlington, Thomasville, Reidsville, Summerfield, Charlotte, Raleigh, Wilmington, and nearby NC, SC, and VA.
"Drinking water supplies in the United States are among the safest in the world. However, even in the U.S., drinking water sources can become contaminated, causing sickness and disease from waterborne germs, such as Cryptosporidium, E. coli, Hepatitis A, Giardia intestinalis, and other pathogens." Quality water treatment is thus the only reliable way to ensure that your water is clean and safe for drinking. Water treatment can even help with other health issues. "Running hard water through the units cut efficiency by up to 48 percent. Scale buildup shortened the lifespan of the heating elements inside electric water heaters, and some tankless water heaters using hard water failed after just 1.6 years." This ultimately costs you money in the long term as many of your appliances will fail faster and work less efficiently. Does your water have strange odors? Doesn't taste right? Not making you, your dishes or laundry as clean as it should? Better Your Health & Wealth Today!